12 Year Old’s Review of The Undertakers: The End of the World, the final book in @TyDrago’s Undertakers series. Mom: Wait – they are hiding in dead people’s bodies? Yes! That’s what’s so cool about it. In the beginning, no one else can see it but the Undertakers. The stuff in the beginning was really good, but most of the really intense action stuff happened at the end. Those skate boards – I mean seriously – intense. 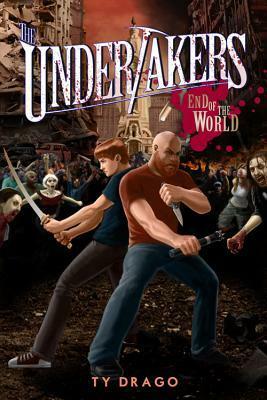 This entry was posted in Book/Movie Review and tagged end of the world, jennifer eaton, jennifer M. Eaton, kid reviews, Review, The undertakers, ty drago. Bookmark the permalink. I just got his highness to do one… the first one in years!